much-ado.net – who tells your story? Welcome to much-ado.net, which was born in 2001 to be my personal site and fangirl’s wonderland, and is now a proper, professional site where I’ll pretend to be serious and dignified. 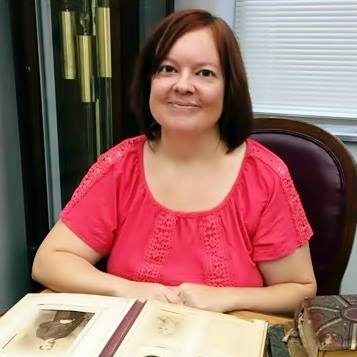 I’m DeeDee, the history research librarian at Mississippi State University Libraries. There isn’t much here yet, but as this site evolves, it will be the home of my research and services. Characters in the musical Hamilton sing, “Who lives, who dies, who tells your story?” As a former archivist, a current history librarian, and a devoted genealogist, I make it my life’s work to help researchers uncover the stories of the past, to discover and tell the stories of my ancestors, and to help other people find their own families’ stories.